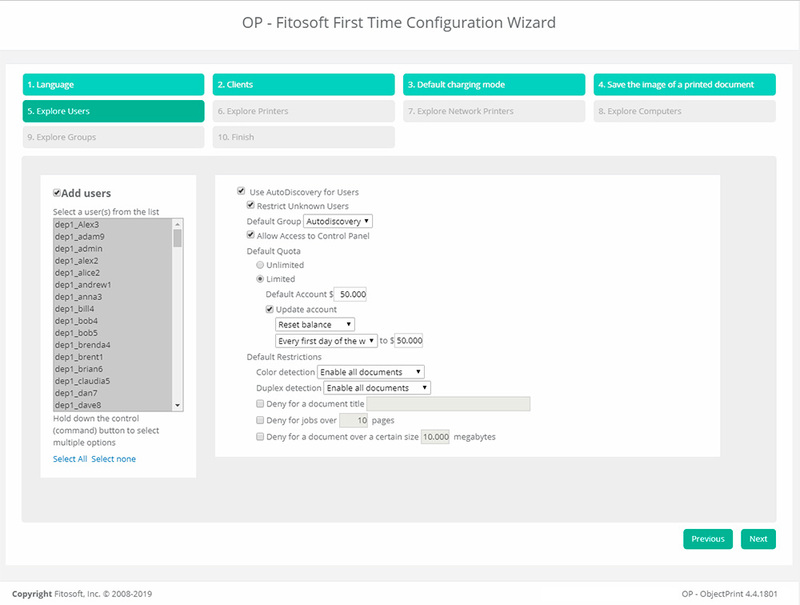 Before running the OP First Time Configuration Wizard, as described below, you should have already completed installing OP. 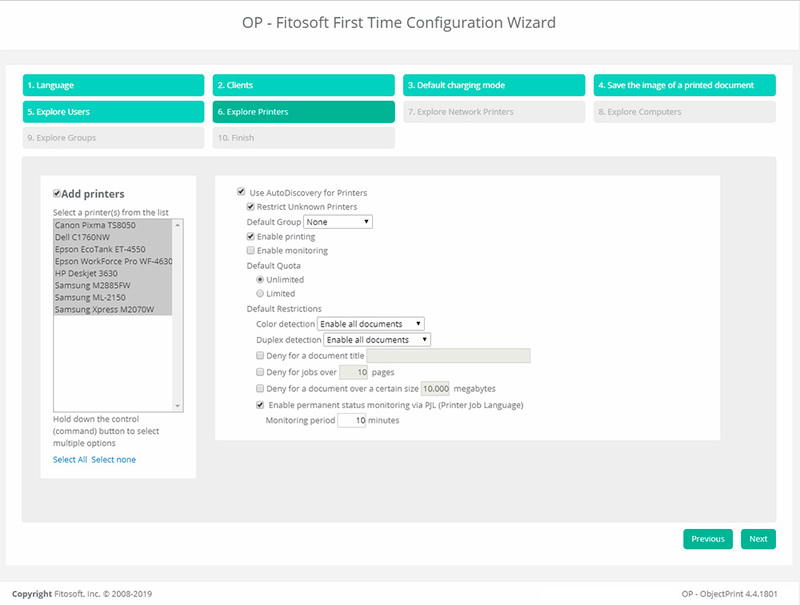 When you access OP in your web browser for the first time, you will see the OP First Time Configuration Wizard. This is a series of screens which will prompt you to supply some default values. It will also offer some more advanced options for settings of groups, users, printers and computers. Go to the following web address in your web browser: http://localhost:1561/ftwizard.html, or use https://localhost:1562/ftwizard.html if you have enabled the HTTPS feature. The above web address uses port '1562' with SSL/TLS protocol to provide encrypted communication and secure identification. 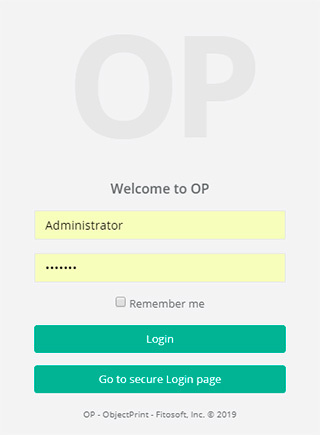 If you choose the "Express Install" method, the OP administrator login is <your login name> and password is blank. 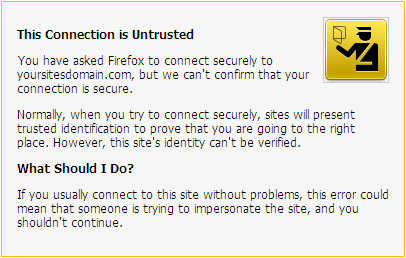 The first time that you access the OP web management you will be see a warning saying that this connection is untrusted. 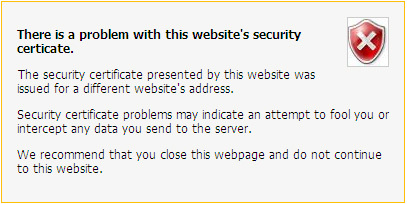 This is because the OP web management is using a self signed certificate that you will need to accept. Other web browsers, and different versions may present different warning messages. If you choose the "Express Install" method, the OP administrator login is <your login name> and the password is blank. The wizard allows you to quickly and easily enter settings before you open the OP user interface. Configure other accounts are equal. Please note: it is possible to skip the installation of groups, printers, computers, and users – they will be automatically added later with the default settings. They can also be added via the menu of the OP program.